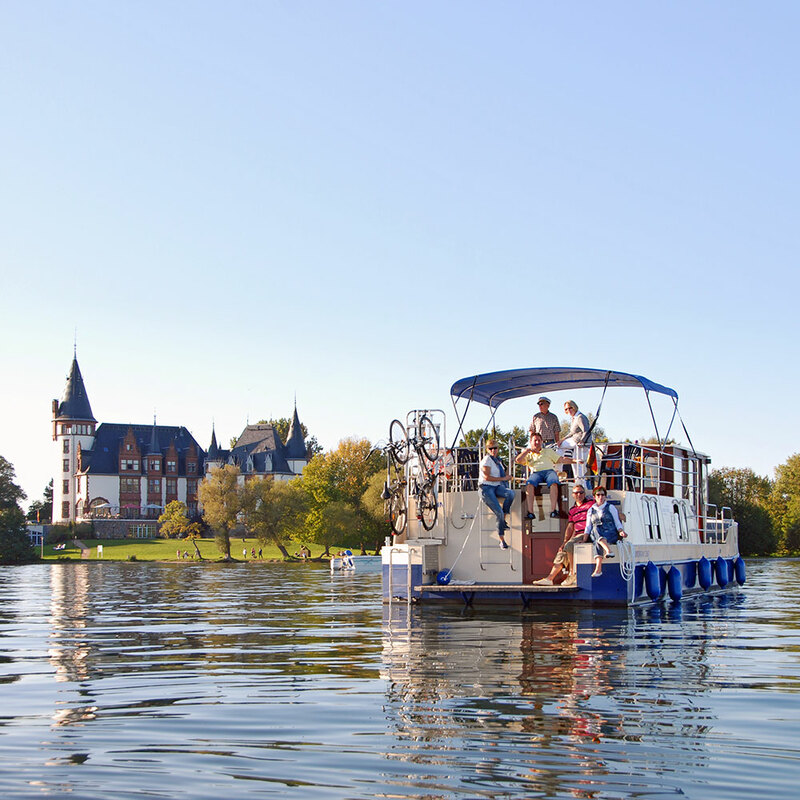 The Mecklenburg Lake District – between Berlin and the Baltic Sea – can be actively explored in very different, enjoyable ways: water tours as well as hiking and biking tours. House boats are a special highlight. As floating holiday homes they can be hired without a boating licence. 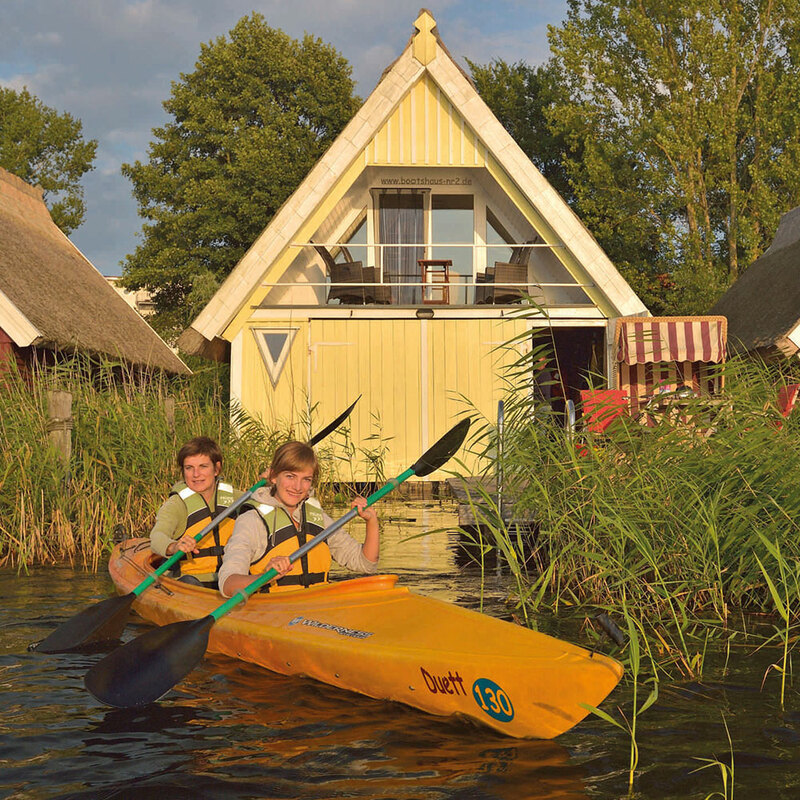 Read more about "Boating holidays"
Boathouses are a part of the scenery in the Mecklenburg Lake District. They are the traditional garages for everything floatable which can carry passengers, from fishing tubs, motor boats, canoes to sailing boats. And in Europe's largest network of water sport territories, there are innumerable vessels of all types. „Ansommern“ means welcoming in the new summer season. The journey full of expectation for "Anbaden" (the season's first outdoor swim), "Anzelten" (sleeping under canvas for the first time this year) and not forgetting "Anpaddeln" (dusting off your canoe). The Indian Summer in autumn is the classic invitation to the festival of colours. Manor houses, parks and castles – there are more than 2,000 in Mecklenburg - Western Pomerania. 300 of these are open to visitors. Read more about "Mansions and stately residences waere nobler"
und Mirow. The renowned landscape architect Peter Joseph Lenné has left traces of his genius here. The cultural heritage has developed itself among the lakes, especially in relation to the history of the regional economy. Historic sites are the Agroneum Alt Schwerin and the Thünen-Museum in Tellow. The MV Pageants and festivals bring life to many coveted locations year in, year out, such as the castle and mansion at Ulrichshusen. Regional Culinary delights abound; fresh fish, available at local fisheries. In autumn, the special Müritz-Fishdays and the culinary weeks of the manors can be very tempting. The Müritz-National Parkis the largest in Germany. 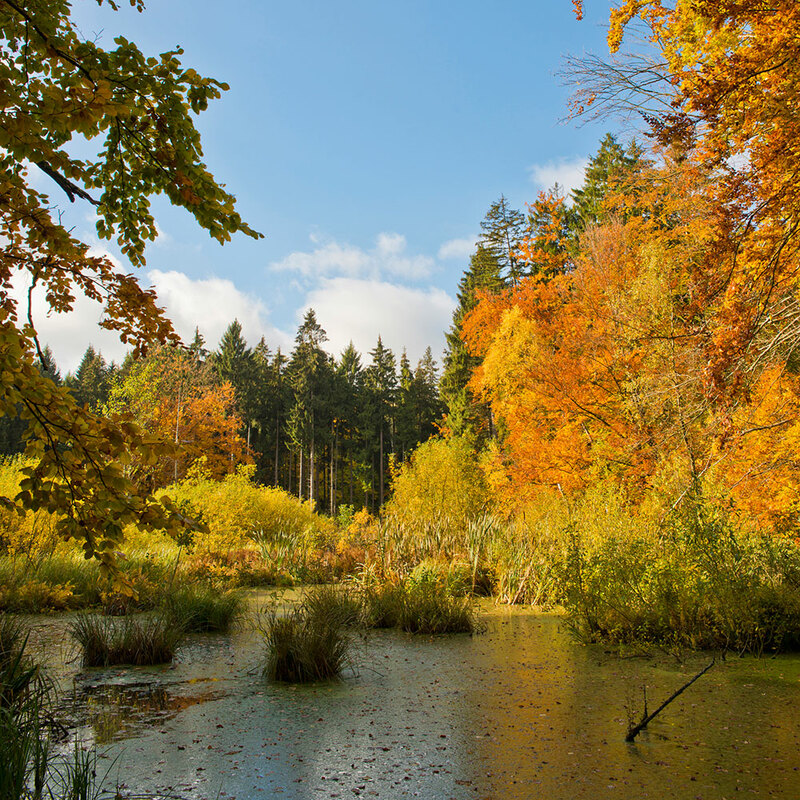 The UNESCO World Natural Heritage territory "die „Alten Buchenwälder“ (the old beech forests) forms a part of the park. Five Nature Reserves add to the abundance of nature. Over half of the area consists of protected areas. The population density of 48 people per square kilometer is sparse. Rugged riverscapes, glass clear lakes with visibility depths of up to 10 meters, heaths, moors and ice-age formations shape the countryside. Müritzeum, the house of the 1,000 lakes. The modern exhibition in Waren (Müritz) also serves as a welcome centre for holidaymakers. Gathered together here is a glimpse of what can, luckily, still be seen in the wild: Swarms of fish, cranes, fish eagles, sea eagles and much, much more. Trekking 3.0 Water trekking by canoe is always close at hand. Classic hiking and cycling excursions among the 1,000 lakes are also offer great appeal. The Mecklenburger Seen Runde is one of the largest recreational cycling events. And anyone can go angling here, thanks to tourist fishing licences. Everyone should get to know the Müritz-Nationalpark-Ticket – for boat-trips and buses with cycle trailers. The Mecklenburg-Schweiz region is ideal for trail riding.